MONTREAL - Old anxieties about the survival of Quebec's culture are being revived — with front-page headlines, talk-show airwaves and the provincial legislature filled with warnings of impending doom. The latest Canadian census offers a chunk of new data for those sounding the alarm bells of assimilation, by showing that Quebec's demographic influence is waning within Canada. The results of the 2011 survey, released in February, revealed that Quebec's weight within Canada has shrunk by nearly one-fifth over recent decades, with no sign of that trend diminishing. The census says that in a span of 60 years Quebec's share of the total Canadian population dropped from nearly a third (28.9 in 1951) to less than a quarter (23.6 per cent in 2011). During a decades-long exodus, Quebec has watched hundreds of thousands of its citizens put the province in their rear-view mirrors. Not only have these departures steadily eaten away at Quebec's standing within Canada, they have fuelled a fear far older than the country itself, for the survival of the French language. That centuries-old concern lies at the root of present-day political realities in the province — of language laws that put French first, of debates over integrating minorities, of demands for more power in Ottawa. It has propelled the argument that there's only one way to keep Quebec's culture and language from being swallowed in the surrounding sea of English: national independence. The 2011 census figures surface as the debate over protecting Quebec's French heritage has reignited. Several recent events have rekindled passions and occupied much of the political discussion. There was the appointment of unilingual anglophones to key federal positions; word that major Quebec companies employ executives who know little French; and there have been numerous media anecdotes about business in Montreal being conducted in English. Long before the rise of 1960s Quebec nationalism, back when then-mighty Roman Catholic clergy still exhorted churchgoers to have lots of babies in a demographic strategy dubbed "the revenge of the cradles," these fears were ingrained in the public imagination. "We belong to this small group of peoples on Earth," said Lionel Groulx, a Catholic priest and trailblazing nationalist, who railed against Canadian Confederation in the early 20th century. He was a controversial figure who was a hero to many but whose writings have been derided by critics as xenophobic. "How many among us? Four or five? We have the destiny of a particular species: the tragic species. For them, the anxiety is not knowing whether tomorrow they will be prosperous or unhappy, big or small; but if they will exist or not exist; if they will rise to greet the day or fall into nothingness." Fast-forward several generations, to the aftermath of the 2011 federal election. With his Bloc Quebecois nearly wiped off the electoral map, a vanquished Gilles Duceppe warned that the Quebecois were taking a huge risk by casting their lot with Canada. The risk they face? Assimilation. "We'll be on the same slippery slope as French-Canadians and Acadians," he told the French-language CBC last year in his first TV interview after his party's resounding electoral defeat. There are several signs that Quebec's once-influential political sway is weakening. The trend will only get worse, Duceppe warns, as House of Commons seat numbers continue to be redistributed in accordance with population changes. The governing Conservatives have already managed a feat that would once have been difficult to contemplate — capturing a majority mandate with negligible support, only five seats, in Quebec. Several post-election moves by the Harper government had Quebec commentators resurrecting those old existential warnings. There was the rush to restore symbols of the monarchy in Canadian public life. Then, in a brief period, the Harper Tories appointed a chief government spokesman, a Supreme Court justice, and an auditor general who can't speak French. Those appointments stirred the revival of language debates unlike anything seen in the province for some time. The storm has yet to subside. A steady stream of news stories now carry anecdotes about the latest affront to the French language. News columns pick over such incidents. Politicians find deeper meaning in them, such as evidence that the language risks disappearing, first from the workplaces of Montreal and eventually from the living rooms of Quebec. The debate has coincided with a drastic rise in support for the Parti Quebecois, which now leads opinion polls in the province. 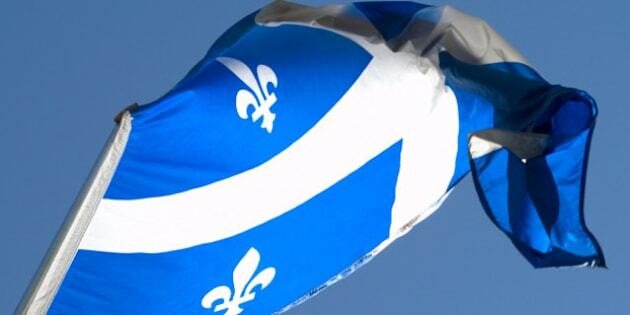 The PQ proposes stricter language laws and suggests a familiar remedy — independence — to protect the francophone culture. The future within Canada is bleak, according to the PQ. In the House of Commons, the proportion of Quebec seats has been shrinking with the province's population share for decades. In 1867, Quebec held 35.9 per cent of the country's ridings. 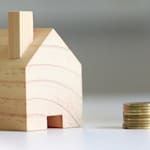 It had 28.6 per cent in 1947; 24.3 per cent in 2011; and in 2015, when the latest representation formula is introduced, the province will hold 23.1 per cent. The stream of people leaving Quebec has been driven by economics, as Quebecers search for opportunity outside one of North America's most heavily taxed jurisdictions. Six years ago, Stephan St-Laurent packed up everything and moved his family nearly 4,000 kilometres to an unknown land of promised prosperity: Calgary. The transplanted Quebecer makes more money and enjoys a new culture in the booming Prairie city — so much so that, while he remains a proud Quebecois, he doubts there will ever be any turning back. The accountant has watched his take-home salary nearly double in Alberta and he says his kids have been given the gift of bilingualism. The native of Thetford Mines, who offers French accounting services in Cowtown, has met many Quebecers who moved to Alberta for the same reasons he did. "The (Quebec) government is head over heels in debt and deficits and corruption," said St-Laurent, who had barely travelled outside Quebec before uprooting in 2006. "The outlook is not very good." St-Laurent, however, didn't give up on his roots. His kids attend a French-language school run by teachers, and a principal, from Quebec. He said it's important they retain their French skills and learn about their heritage. But St-Laurent said not all relocated Quebecers he's met in Alberta feel the same way. "Some of them are really attached to their culture, like I am — others don't really care," he said. "(Our culture) is really important to us, but at the same time, we want (our children) to have open eyes to what's out there." That dilemma is not new. In fact, it has long played a role in Quebec's literary culture. One of the best-known heroines of Quebec literature, Maria Chapdelaine, turned down a suitor who offered promises of wealth and luxury in the United States, choosing instead to marry the local boy. Migration has a been a major contributor to Quebec's diminishing share of Canada's overall population. Between 1971-72 and 2008-09, Quebec lost more residents than it gained to interprovincial migration every year — and, over that period, 528,135 more people left for other provinces than came the other way, Statistics Canada says. The province that lost the second-largest number of people to interprovincial migration over that time was Saskatchewan, which saw a net loss of 196,315. But Saskatchewan, filled with hopes of growing resource wealth, is gaining again. Years of shifting provincial populations have tipped the demographic balance westward. For the first time ever, the 2011 census says, the combined share of Canada's population in the Prairie provinces and British Columbia (30.7 per cent) was higher than the combined cut of the Atlantic provinces and Quebec (30.6 per cent). One demography expert, who has focused his attention on language changes in past Canadian census results, says the use of the French language in Canada is also disappearing. Charles Castonguay, a retired mathematics professor from the University of Ottawa, said compared data in the 2001 and 2006 censuses and found that the use of French across Canada has declined twice as fast as the drop in Quebec's population share. He found that between 2001 and 2006 Quebec's slice of the Canadian population fell by one half of one percentage point. Meanwhile, the proportion of people across Canada who considered French to be their mother tongue dropped by one full percentage point. Castonguay said his research shows that the decline of French in Canada has been accelerating since the Second World War — but the drop he found between 2001 and 2006 had never been so sharp over a five-year span. By comparison, he said it took 10 years, from 1951 to 1961, for French to drop one percentage point. "That's a record — that's never been seen in the history of Canadian censuses," Castonguay said of the language's ebb between 2001 and 2006. He has not yet analyzed the 2011 census results. He blamed Quebec's waning weight in the federation on the province's massive drop in its fertility rate and its comparatively stagnant economy. Castonguay said around 29 per cent of Canadians were francophone in 1951, compared to around 22 per cent today. Due to these changes, he said he expects Canada to give the French minority even less consideration in the future — something he says is already underway. "It explains why Meech Lake really foundered and nobody wants to talk about accommodating Quebec anymore in the rest of Canada — they don't want to hear about it, they just want to let Quebec sink," he said. "It's a dwindling minority, so why pay attention to it? The problem is going to go away — the problem is going away."